For Christmas this year, I was finally able to shed the cash to pick up an Xbox 360 along with a Kinect. While I do enjoy playing the games, what I’m most enthralled by is using the Kinect when watching TV. People keep talking about a forthcoming Apple TV, and I welcome it with open arms, but right now Microsoft has the right tool to shake up the market. This year at CES was all about disappointing “Smart TVs” and overblown 3D, with some truly beautiful Super OLED displays thrown in for good measure. TNW’s Martin Bryant says that he’s already sick of the Smart TV idea because the offerings are lackluster at best. While I completely agree with his sentiment, I think that Microsoft could make a major move into the space and knock down all of the competition in its wake. It does precisely what I want it to do in making it even easier to watch TV. That’s something that my now-dust-gathering $99 Apple TV box failed to accomplish. As I said before, anything that makes it more difficult to just enjoy a moving picture on a screen is ultimately headed in the wrong direction. With the Kinect, I can sit down and talk to my TV. The on-screen commands are intuitive and natural and they work better than any voice recognition system I’ve ever used, Siri included. I thought it would be awkward to use voice to navigate through menus but it just isn’t. Microsoft has nailed this perfectly. There’s simply no denying that Microsoft’s execution of the Metro UI is great. What’s most impressive about the interface to me is that it really does translate equally as well on a handheld Nokia phone as it does on my 42-inch Philips. No matter how much I love OS X and my MacBook Pro, the rest of the consumer market is dominated by Windows. Giving users an already-familiar interface with which to work should add to the chances for Microsoft-driven Smart TV success. We already have Verizon’s white-hot FIOS system integrated with Kinect. But really, you can consider this to be proof of concept of how well it can work. Microsoft can use this to approach makers like Samsung and LG, showing them the potential of including Kinect hardware inside the bezels of their devices. If I were the person making the decisions, I’d take the rumored internal-processor of the forthcoming second version of the Kinect and enable it to be its own platform. There would be no need for an Xbox because the TV’s OS would be centered around a modified version of Windows Phone, with Kinect being the interface device. When you look at how well Kinect already works, this is an easy sell to any manufacturer that is trying to get a leg up in the crowded TV market. Google tried, and failed, to do TV right. It was a valiant effort but might as well be hung out to dry. Boxee’s Box is great, but it still feels way too much like operating a computer and that’s going to turn people away who want simplicity. Ubuntu’s offering is strong, but it takes people to an unfamiliar place and consumers don’t want that. The market is ready for something more than just a screen, but it has to be easy, it has to be familiar and it has to work. So far Microsoft has been the only company that’s made something which truly does all of these things, and yet it was an afterthought to a gaming product. 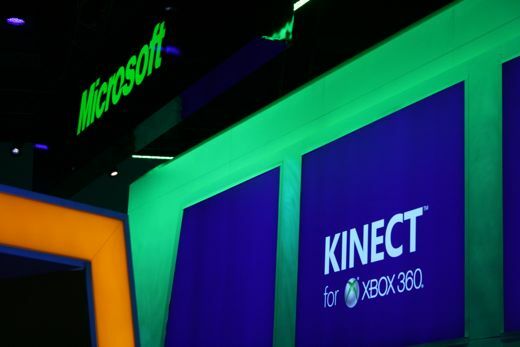 It’s time for Redmond to get serious about TV and Kinect is the key to making it happen.